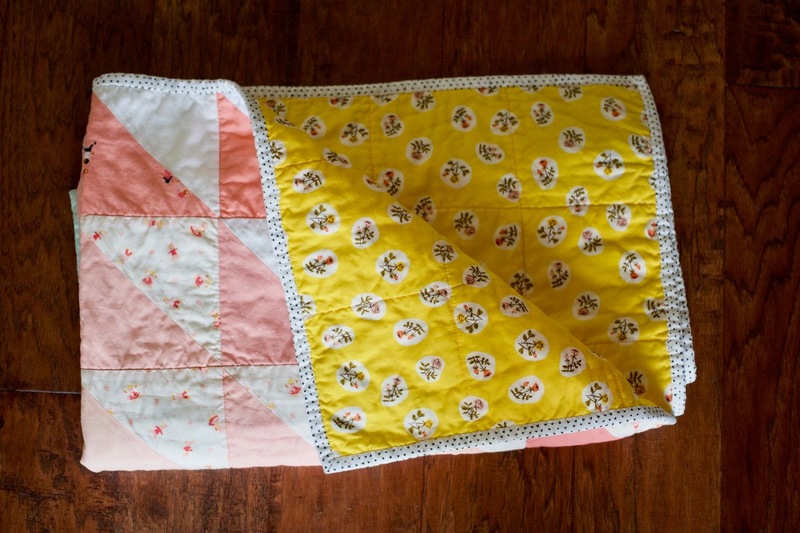 This quilt probably looks a familiar. I made the same pattern here. Just changed up the colors. It's made up of 64 half square triangles (if I counted correctly) and 8 5in squares. 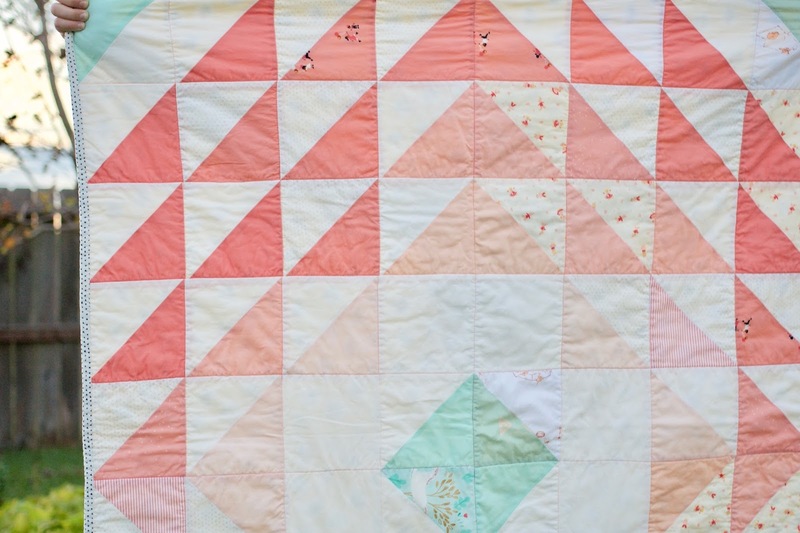 To make the half square triangles, I started with 6 inch squares and trimmed to 5.5 inch squares. 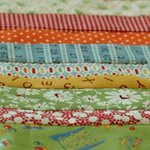 Once sewn together they all blocks finish at 5 inches. 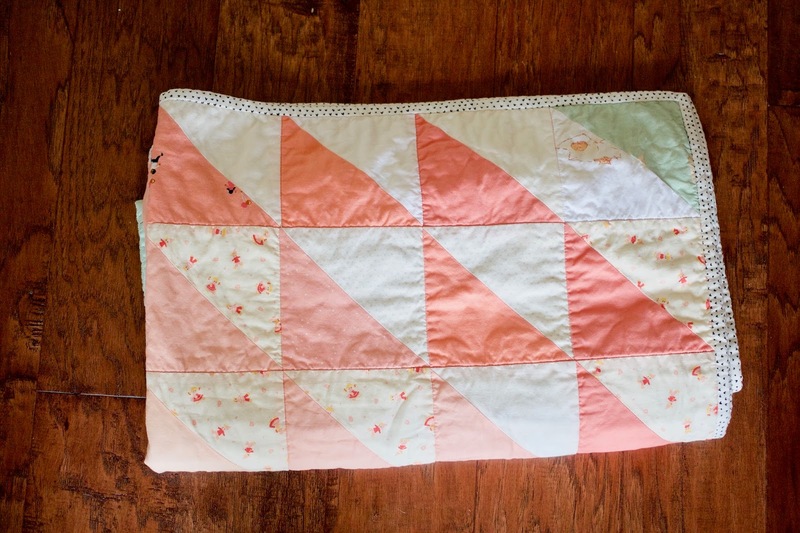 I use this method to make half square triangles, but I want to try this one next time. 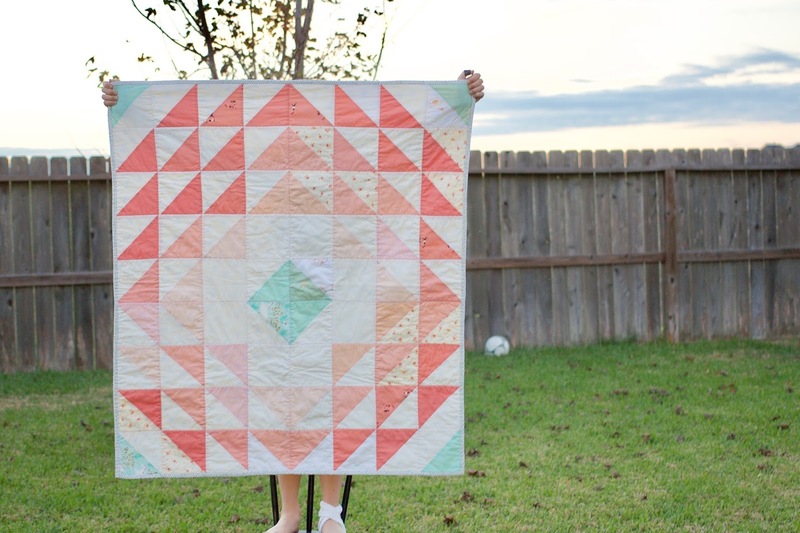 Such pretty colors and fabric that you chose to use in this quilt! 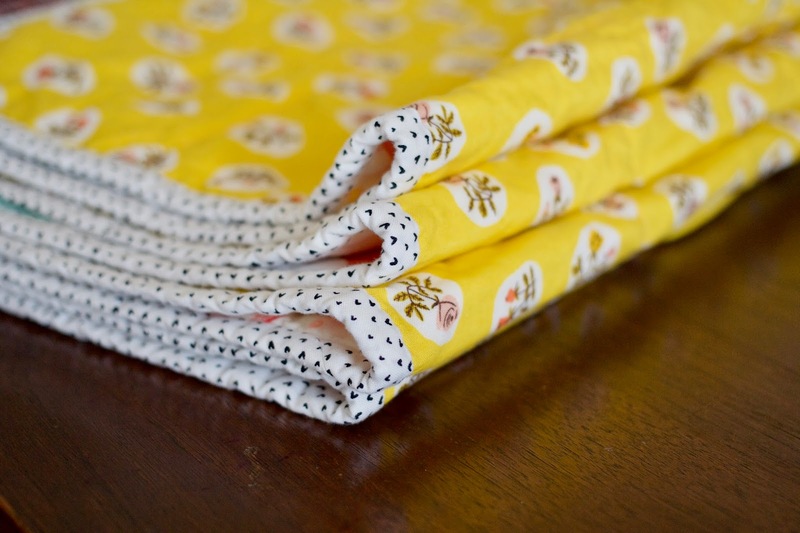 I love HSTs - they are so versatile. Love the gradation of color.